Crisp and fresh with a subtle hint of citrus bitterness. Our delicious pale ale is bursting with hedgerow fruit notes. Whatever the weather, a sip of this will give you that summer feeling thanks to the spicy, floral British hops. This classic British pale ale uses English-grown First Gold hops to add fleshy fruits, floral acacia and lots of citrus to the light, bready malt. The end result is a full-flavoured golden ale. Available in pubs across the south west. Sign up to our mailing list and we’ll keep you topped up. Awesome! You've successfully signed up to the Loyal Hare Force. Ooops! It looks like you have already signed-up to the Loyal Hare Force. 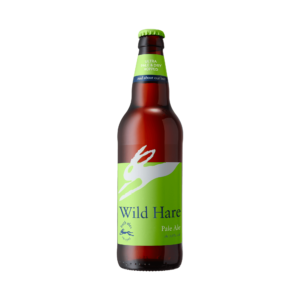 If you have forgotten your Loyal Hare Force registration details please contact loyalhareforce@bathales.co.uk. It looks like you have to redeem. Your total spend has been . You also have redeemable points. Hmmmm, it looks like the email address doesn't exist...why not try registering online? Hmmmm, it looks like the email address supplied doesn't match with the account of the card number supplied.